Bioshock Infinite is a masterpiece. Its story is complex and difficult, its characters interesting and challenging, and its art style truly beautiful. Though it’s come under some fire recently for various aspects, from various aspects of the gameplay to the insane violence that takes place throughout the game (warning: this is a bit graphic). 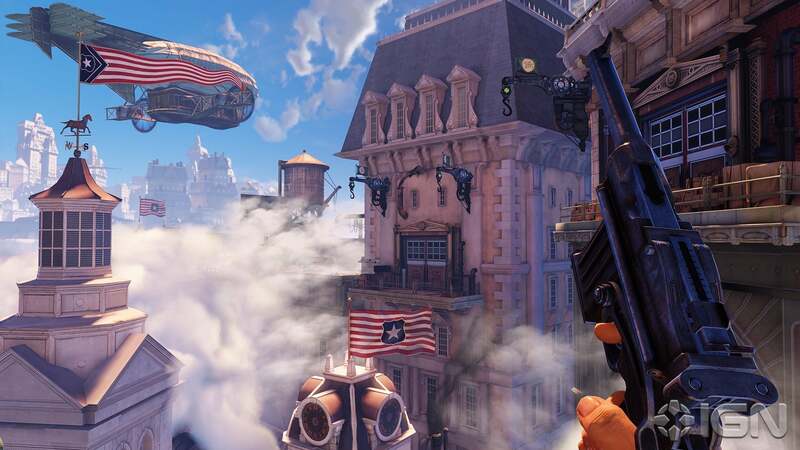 These criticisms are well taken, but I still think that Bioshock Infinite is one of the best games I’ve ever played. I don’t want to really go on with a laundry list of reasons why I found the game to be fun. The combat was thrilling if not challenging, the voice acting tremendous, and the small easter eggs that can be found throughout the game. But I want to spend some time on the story. In my opinion, Bioshock Infinite’s multiverse theory is really a tremendously well-executed thought experiment on the possibility of multiple concurrent realities. There are a few truly important details around its execution: first is the idea of “constants and variables” talked about by the Luteces, and the second is a hinted-at idea that the multiverse can be thought of as a tree. These tie together quite well and make for an interesting thought experiment. The coin flip (which is itself interesting); the rowing; the arrival of Booker; these are all constants. This means that across this branch of the reality space, for example, Booker doesn’t row. The more interesting parts to this are when the constants and variables interact with each other: a constant is the presence of a demoguage in Columbia; the variable is the identity of that person (Comstock/Fitzroy/Elizabeth). The constant is propaganda; the variable is the source. The constant is oppression; the variable is the oppressed group. Understanding individual “realties” across Bioshock’s multiverse space as entities controlled by constants but having tweaks in the variables is important in thinking about the tree of possible realities. In all honesty, the rest is just variables. It doesn’t matter what guns you use, or if you spare or save Slate, or even if you row or choose heads or tails or save Elizabeth or not. These are that variables fill in the rest of the worlds that are mainly shaped by these core constants. What infinite is really getting at, then, is what it means to make decisions. We can mess around with the variables of the world, but in the end, true change happens by altering or negating constants. Booker’s decision to go back to the moment in history where that branch (or set of realities) starts and be drowned actually effects the multiverse. It shakes up that branch, destroying all versions of Columbia. After Booker chooses to die, Columbia never existed, does not exist, and will not exist. It’s the climax masterfully executed story that is difficult, puzzling, and makes me think about what it means to make choice. It’s why Bioshock Infinite was the best game I’ve played in a long, long time. In sum, then, what I take from Bioshock Infinte is that if we want to truly affect change, we must work to truly understand the constants and target those. Otherwise, we have the same core with a different mask.